Famous rap artist Gloc-9 will be having his concert at Nueva Vizcaya on November 26. St. Mary’s University, Bayombong, Nueva Ecija will be the venue of his famous songs like “Upuan”, “Lando”, “Magda” and more. Migz and Maya from Star Records will also be present during the concert. This duo earned a lot of fame due to their famous hugot songs. Ticket prices for Gloc 9 Concert in Nueva Vizcaya starts at Php300 for the Silver tickets. There are also other ticket options at Php700 (Gold) and Php1,000 (VIP). The concert starts at 6:00 PM. For inquiry, you may call or text 09162450040. 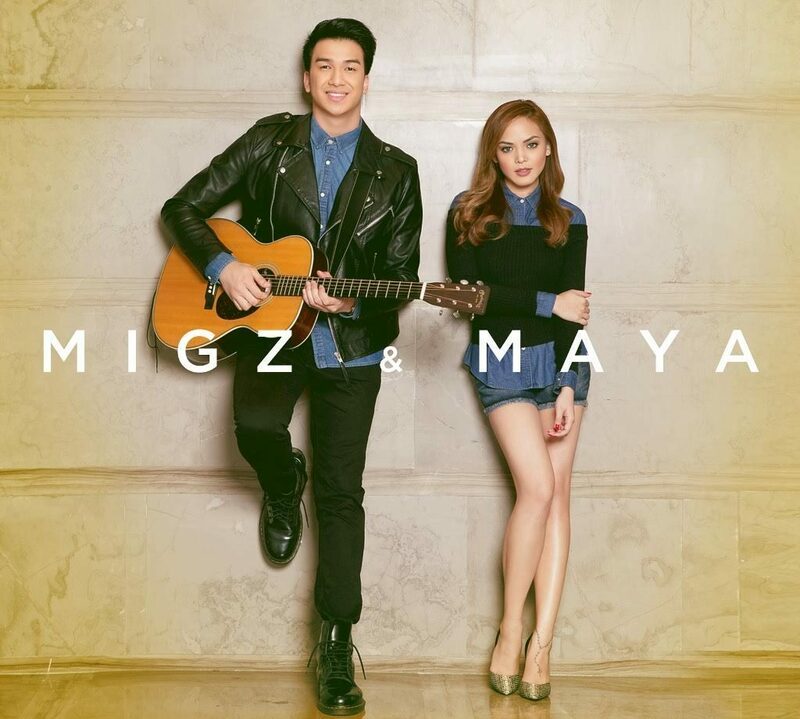 Migz and Maya are considered as Star Music’s first acoustic duo doing a full-length project together. Before being part of the project Maya was with Pan-Asian girl group Blush. Migz, on the other hand, became sensational due to his famous YouTube covers. Seems like their fans can expect some of their famous songs during the concert which is an added plus for attendees. Songs like “One More Chance,” “Suntok sa Buwan”, “Paano na Kaya,” “Ipagpatawad Mo,” “Mahal Mo o Mahal Ako,” “Hibang,” “Stay,” “Makita Kang Muli” and “Lihim,” might just bring you to feel the love over and over again. 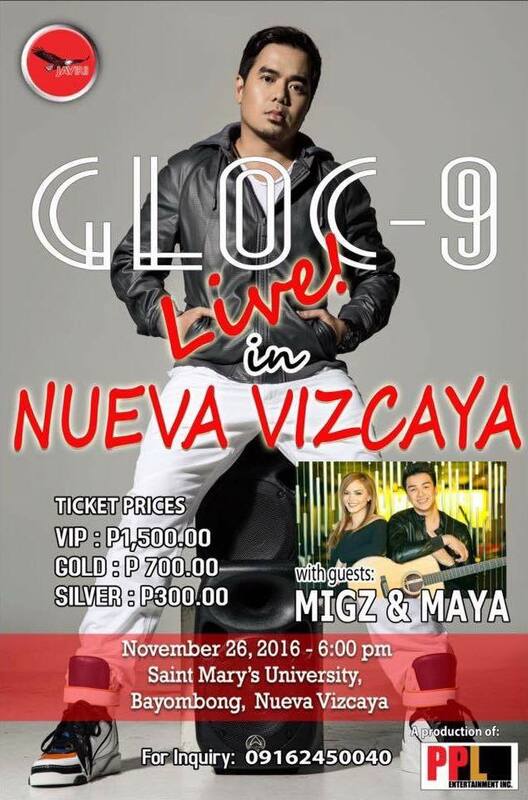 Here is an official video invitation from Gloc-9 for the concert in Nueva Vizcaya on November 26. 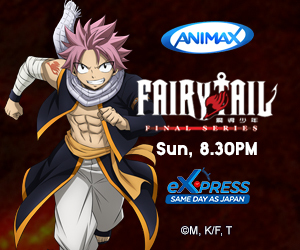 Finally, be sure to be there and join the artist. This entry was posted in Press Release and tagged concert, gloc-9. Bookmark the permalink. ← Are you ready to Cosplay Rumble?